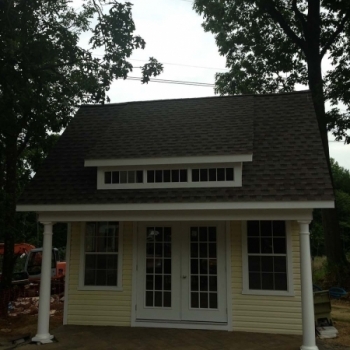 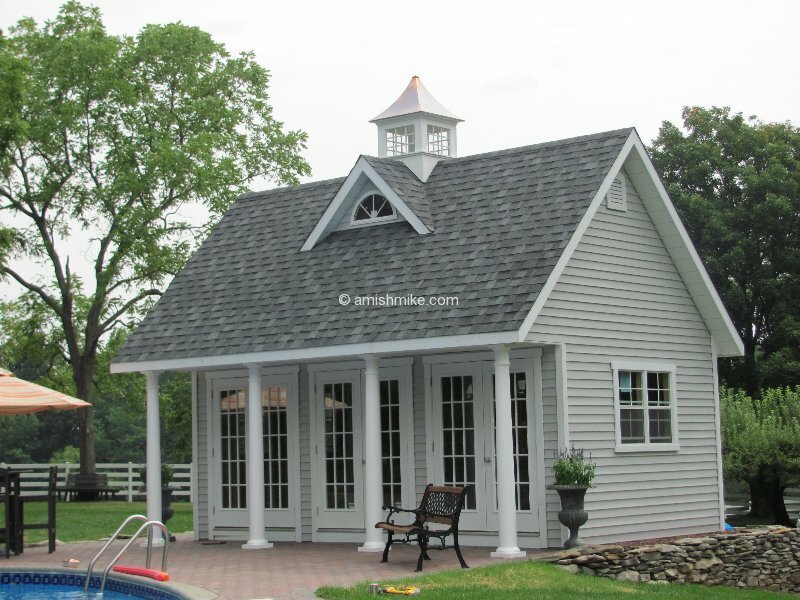 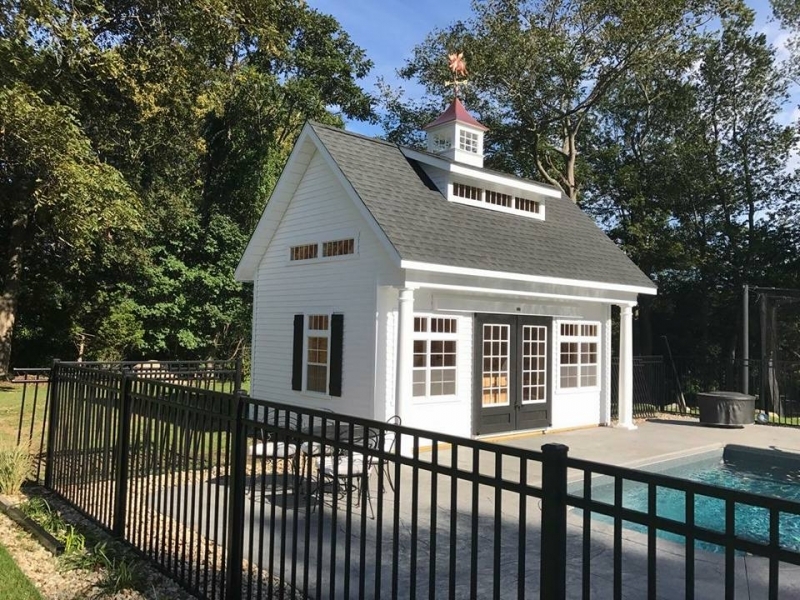 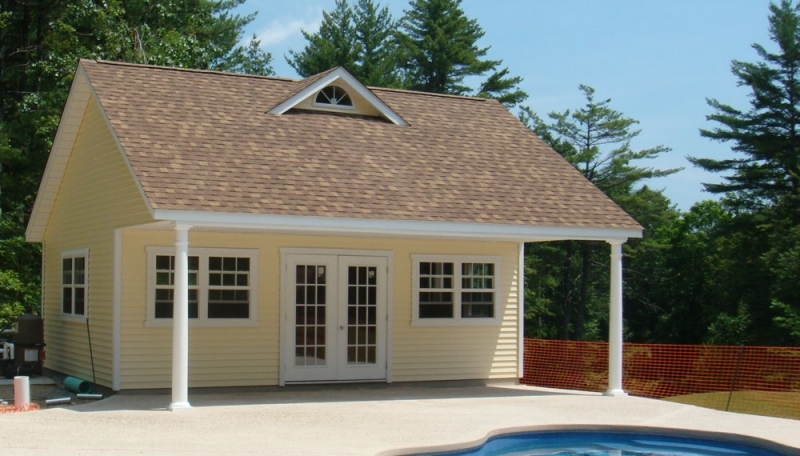 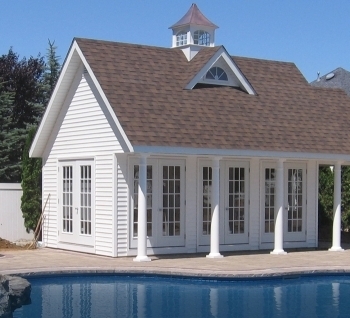 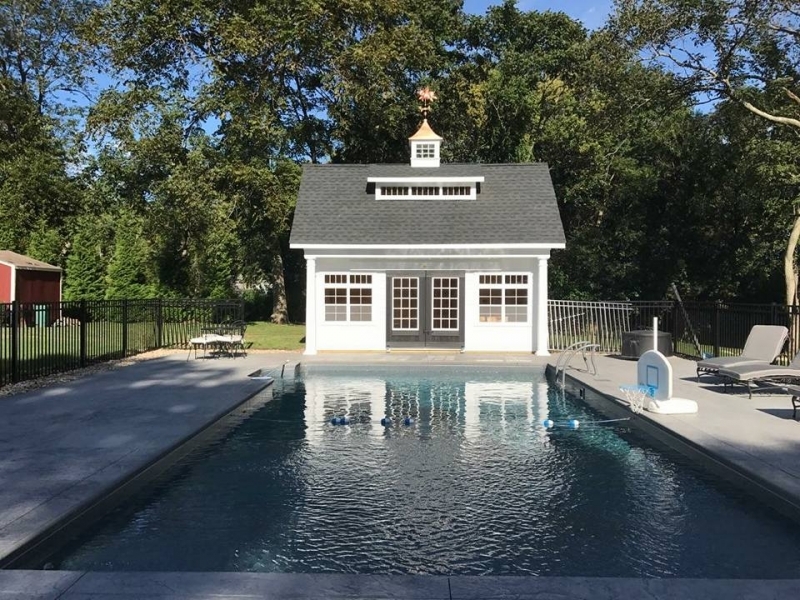 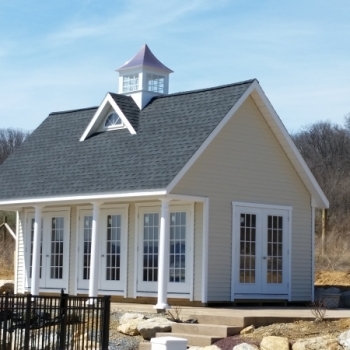 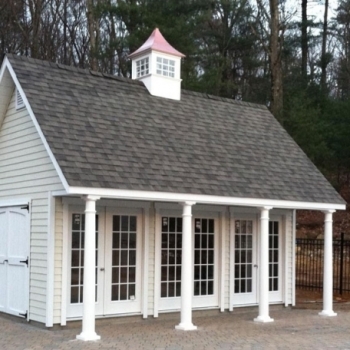 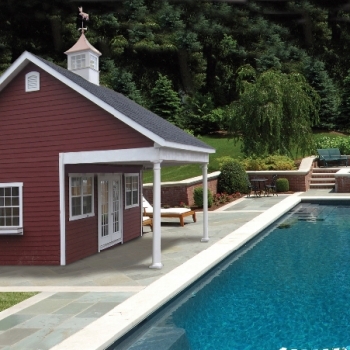 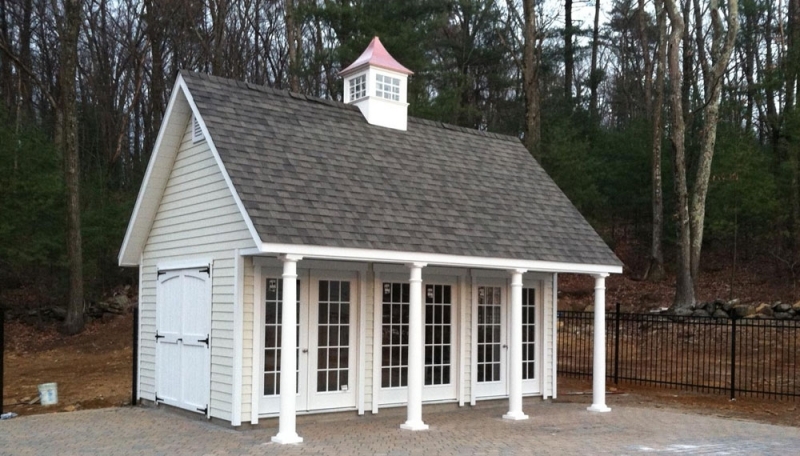 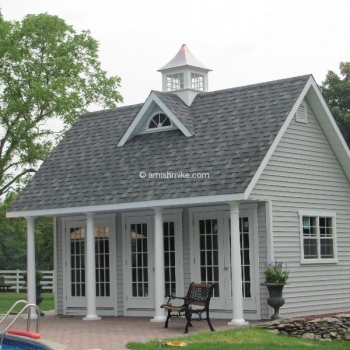 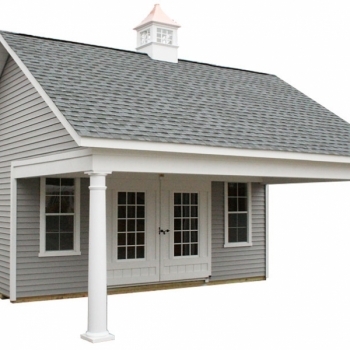 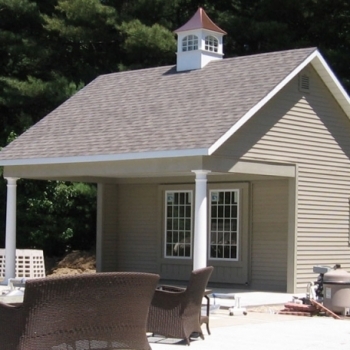 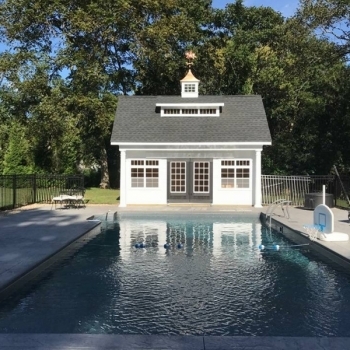 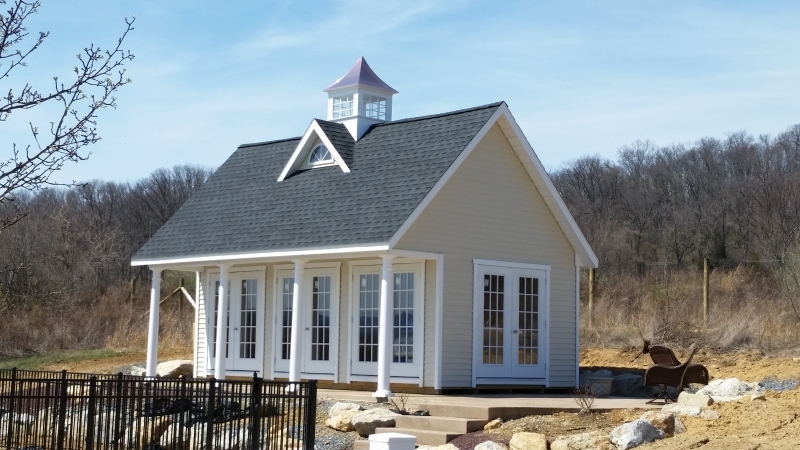 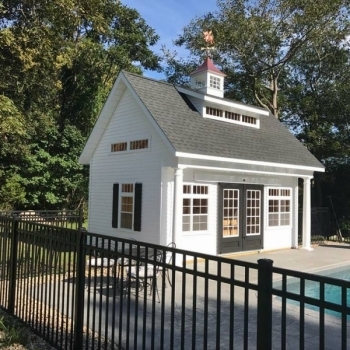 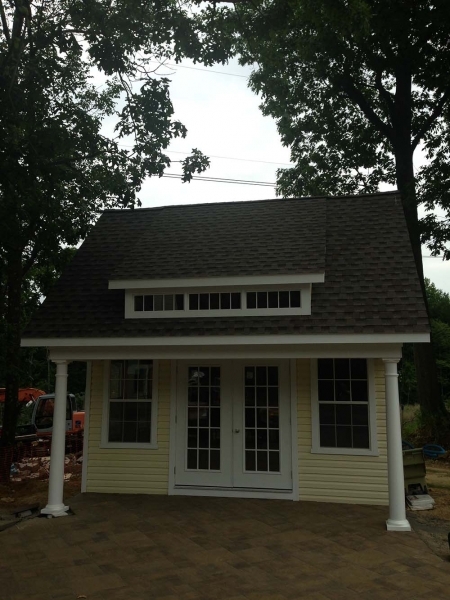 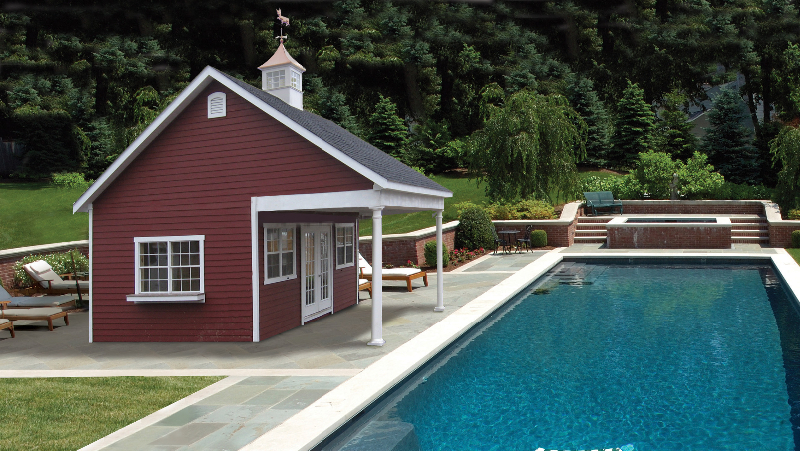 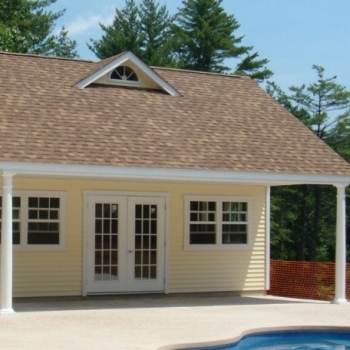 Very similar to the Grand Victorian pool house, the Livingston pool house features the tallest wall and steepest roof pitch in all our pool house models. 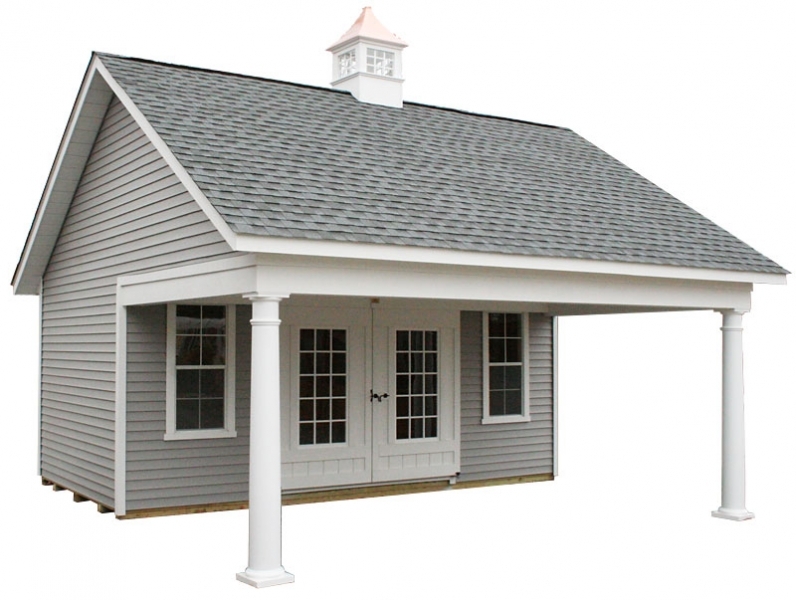 Available in a wide range of sizes, it features a four foot overhand with up to 4 vinyl columns. 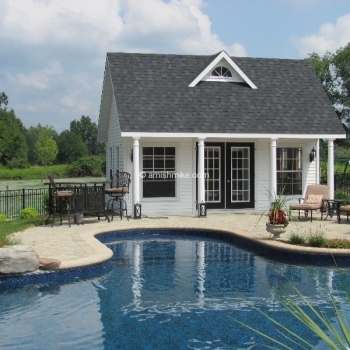 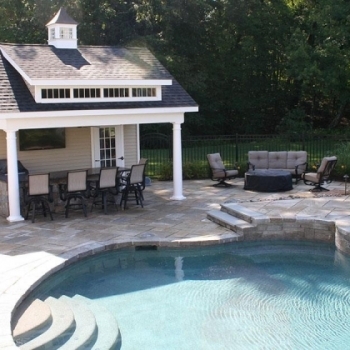 Included in this pool house is your choice of glass top doors and two 24″ x 36″ windows with trim. 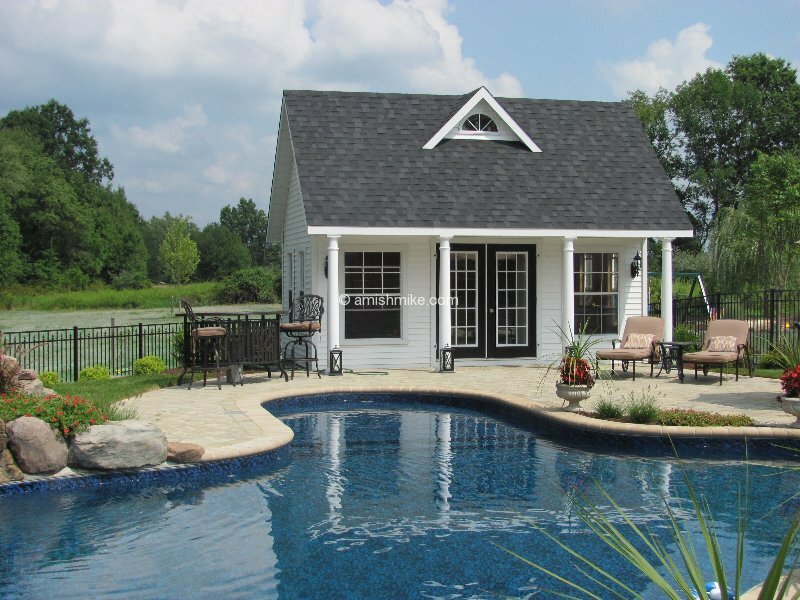 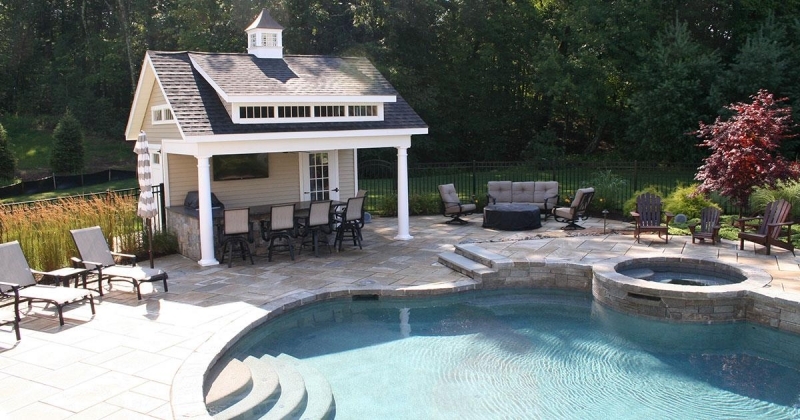 This pool house is one of the most customizable with a large selection of window and door sizes and options. 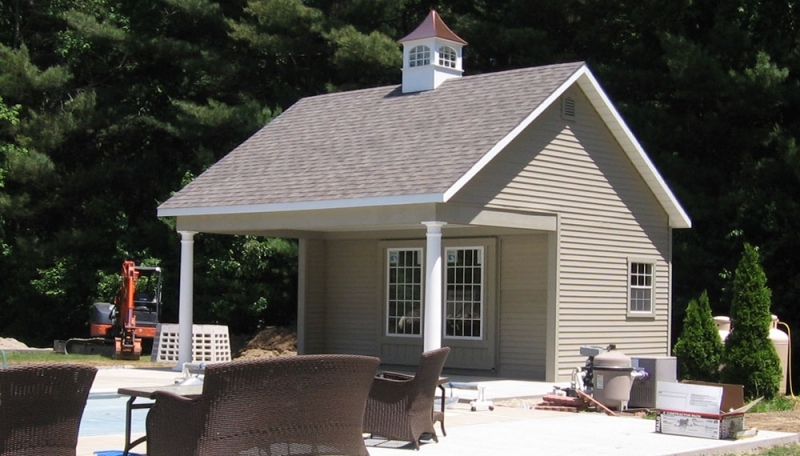 You have choice of vinyl siding or can upgrade to other siding type materials.